Love this old truck Phyllis! Thank you so much, Doug! I appreciate your comments and support! Wonderful capture. Love this gallery. Voted. Phyllis, you're another I haven't checked on lately and I didn't forget how nice you were visiting my site. I love this truck photograph!! 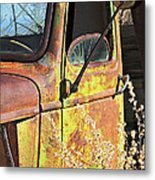 You've managed to not only capture the antique, historical feel but also make me wonder where that truck's been over the years and where it's gone! FAV/Vote! 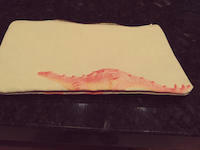 Thank you so much, Lil, for stopping by again and commenting and supporting my work. I always wonder about the story behind the subjects I photograph. It's good to know that others are affected the same way!! Thank you so much for your comments and V/F!! So glad you enjoyed my ghost town---it was a fun project! Phyllis, I love this whole series of photos. 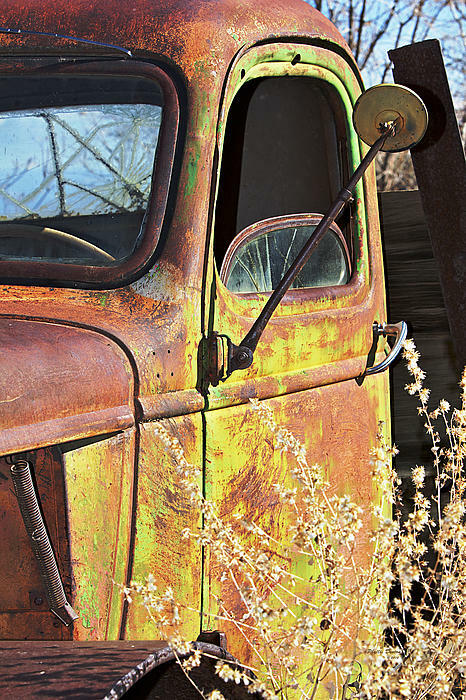 The patina on this truck is wonderful and the image is nicely composed. Thank you so much, Benanne! It was a fun project for me! Thank you so much for your kind comments and vote!! Thank you, Shirley----your support is appreciated! what a great find ... love the warm tones of the sunny rusty bits against the cool blues of the sky!!! Thank you, Lois! 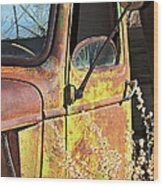 I love the shades and textures of rust, too! Phillis, these are som great old grunge pictures. They are all so unique! Thank you, Joan. I really enjoy the colors of rust and weathered things. This was a good find! 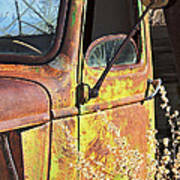 This photograph depicts the door of an old green truck, showing the detail and colors of the rust and worn paint. Standing silently in a weed filled field, this antique speeks silently of a lifetime of work. This photograph was taken at Gold King Mine And Ghost Town near Jerome AZ.